How would you feel if it’s your birthday and no one ends up wishing you? Obviously, that will be quiet disappointing and you may end up having a bad mood for the rest of the day. In this fast-paced world, forgetting special occasions has become the norm. Moreover, these occasions are now not only confined to personal events but also includes one’s’ professional achievements too. Celebrating workplace milestones and employee work anniversaries has become an inevitable part of today’s company culture. Acknowledging the employees’ efforts has become very important to keep their heads up at work. No organisation has or will ever achieve goals without the dedicated contribution of their employees. As an employer, celebrating employees’ work anniversaries and milestones is a great way to acknowledge their efforts and hard work. This affects factors like employee engagement, stress management, employee motivation and retention in the workplace. Employees who know that they are being appreciated and acknowledged perform better. Especially the ones’ who serve the purposes of the organization for a long term. 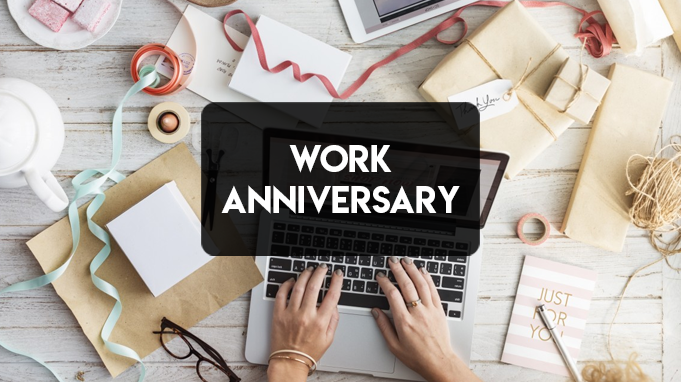 Here, in this blog, it’s all about the ways to celebrate your employee work anniversaries and make it a special affair for them. No, it’s not about setting off a bomb at your employees’ desk on his/her work anniversary. How would you feel coming to your workplace and finding your work desk already decorated with thank you cards, balloons, and personalized tokens of appreciation? That’ll be an awesome day at work, isn’t it? As a manager or an HR personnel, you can plan something similar for celebrating your employees’ work anniversaries. For this, you can ask the employees peers to convey their wishes by making some cards with their messages on it. Furthermore, you can hire a decorator to give a different look to the employees’ work desk. Busy schedule at work is often responsible for disrupting an employees’ work-life balance. Allowing them to take breaks to rejuvenate and to spend some time with their loved ones is very impactful. Letting them enjoy their work-anniversary by giving them some “me-time” is a great way to set the tone in the right way. This instils the thought that you care for your employees and acknowledge the need of their personal time. The world is going all digital in today’s date and even workplaces are adapting to this changing scenario. Long gone are the days when paychecks and gift cards came in a sealed envelope. Sending out E-gift cards to an employee on his/her work-anniversary helps you get flexible in gifting. An employee can use the gift cards against anything from online shopping, travelling or booking tickets for a movie or park. Work anniversary does not always need to be formal. Adding a little fun to it is fine. You can consider giving the employees celebrating their year anniversary silly trophies like “Best Downloader”, “Always on Leave” and more. Thus, adding some fun to your daily work environment also makes it a memorable day for the employees’. Sending out pre-formatted emails wishing the employees on completing a year of service may not be fruitful. We, humans, love it when someone gifts us something personalised. Similarly, your employees too will love it when you get down to them on a personal level. As personalised gifts, you can consider gifting them accessories such as a coffee mug or a shirt with their name on it. Also, you can gift them books based on their preference which is always a great idea. This way you also get to know your employees on a personal level and pave the way for a great employee-employer relation. Letter of Appreciation is another great way to appreciate an employees’ work and thank them for services over the year. Even, a letter of appreciation can have a personal touch to it and vary from employee to employee. A well-written letter of appreciation thanking the employees’ for the loyalty and efforts in running the company is one of the best things which he/she can desire to have. Moreover, it helps boost the employees’ morale at work and motivates them to further up their quality of work. Healthy employees are like the jewel to the crown for every organisation. But sometimes amidst the hectic schedules at work, the employees put aside everything which even includes their health. As an employer, you can change this by encouraging the employees to embrace a more healthy lifestyle. On employees work anniversary, you can gift them the chance to achieve the greatest wealth i.e. “HEALTH”! Giving your employees’ company sponsored gym memberships on their work anniversary will surely help them kickstart their health journey. Good Food Is Good Mood. Who doesn’t like to enjoy a nice meal amidst a rich ambience? Executive dining is one of the best privileges you can get your employees on their work anniversary. As the saying goes, “Food is the way to everyone’s heart”. You can opt for booking a table for your employee celebrating work anniversary in an upclass restaurant. Employees feel appreciated when they know that they are being treated to the good things in life. This is very helpful in fostering positive feelings towards their workplace and superiors. Every one of us would feel good when our work and efforts get recognised from the top management. Getting the employees recognised by the top level executives on their work anniversaries will raise their morale. This helps to improve their professional relations as well as get attuned to the management’s expectations. However, recognition from the top level management shouldn’t be just limited to year-old anniversaries. Employee recognition for good work done should take place frequently for an efficient workforce. Nothing could get better than getting recognised for years of service in front of their peers. Also, let everyone know that it is an employee’s work anniversary. Put up some of their most interesting pictures in the company’s notice-board and pin up their long list of achievements. Encourage their team members to put up their own rendition of their fond memories about him/her. All in all, make it into a celebration worthy of an age-old comrade who helped you in achieving your company’s objectives. This way it benefits the employers in two ways; First it helps in employee recognition and secondly, it motivates the rest of the workforce. Not all employees work hard for money, sometimes it’s more about earning the top spot. Employee work anniversaries provides a great opportunity for employers to upscale the roles for the deserving workers. Announcing promotions based on the employees’ performance or their years of experience is one of the best ways to make work anniversaries special. This motivates and gives every employee an equal chance to prove his/her mettle at work and earn the top spot. Everyone is so busy with their work nowadays that they hardly would remember their co-workers’ work anniversaries. Work anniversaries hold equal importance like birthdays for professionals. You can make the moment when they look down on their years of service extremely special through peer appreciation. Fill up the employees’ mail with messages of appreciation from the co-workers for one day. And with the use of today’s technology, everything is now available with just a click. 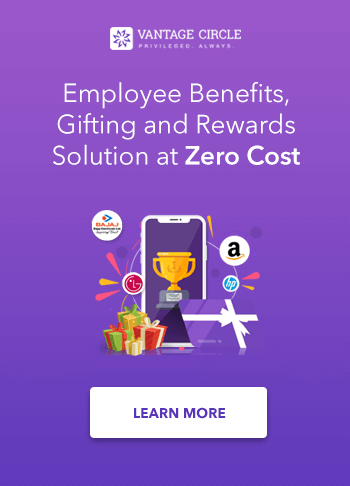 Here at Vantage Circle, with the power of cloud technology, we created an effective tool for employee recognition and appreciation making the task much easier for you. Amongst all the things at a workplace, employees work desk holds special significance for him/her. It is here only where the ideas take birth and the growth of the company is also determined on certain levels. As the employees spent most of his/her day at their work desks. Giving them an upgraded work desk with new pieces of equipment and other amenities will surely bring a smile to their faces on their work anniversary. This one idea is especially for the employees who have spent more than 5 or 6 years in the organisation. They are highly experienced and are very familiar with the company culture. As an honour for their services, you can make these employees’ feel like a boss and run the show around the workplace for a day. On their day of work anniversary, you can introduce your employees’ to the new recruits. And then make the employees’ take up the orientation sessions and inspire them for their journey ahead. Does your company reserve the premium parking spaces for the top executives? If yes, then there is another great idea to make your employees feel privileged and important on their anniversary. Allowing employees’ access to the prime parking spot for their vehicles for a week beginning on the day of their work-varsary is an effective way to show their importance. Such acts would further motivate the employees to work hard and achieve the same spot permanently. Most of the times employees’ prefer having their desired space in the workplace. However, it may not be the case for all employees. An employee who performs the best in a quiet and crowd-free environment may get his/her work desk amidst the others. Thus, barring them from being efficient at their work. And it’s always not possible to allow them to shift as they like. However, this can be made as their one of their work anniversary gifts. Giving the employees the liberty to choose their desired space on their work-varsary is a very subtle way to motivate and boost their productivity. Remembering the long journey in an organization can be both fun and emotional for an employee. On the day of an employees’ work anniversary, a video or series of photographs can be played. Doing this on the sidelines while appreciating the employee will make the event even more special for them. You can plan this by getting the videos and photos from the employees’ co-workers. And then further compiling and playing it during the appreciation event. 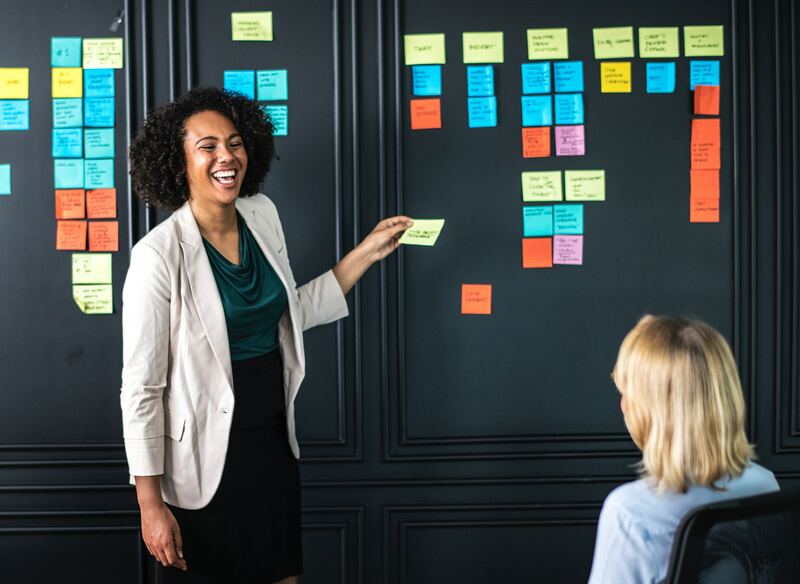 Especially for employees serving for a long term, depicting their journey as a timeline of their professional life will make it both inspiring and memorable for everyone. Every one of us has an individual interest and your employees are no different. Their interests can be about anything like painting, singing, dancing, football, tennis, carpentry and more. To make the employee work anniversaries more interesting and memorable, you can give them an hour or even a day with an expert from their area of interest. This shows how much the employer cares for employee satisfaction. And it also instils a positive emotion in the hearts and minds of the employees’ for their respective employers. No! It’s not about gifting them a toy set. Here the deal is real. We all dream of owning or riding a posh car at least once in our lives and your employees are no different. Making this dream come true at least for a day is worth their efforts they put in at work daily. As an employer, you do this by hiring a luxury car service for the employees celebrating their work anniversary. The joy which an employee will have on receiving a wow ride will be immense and they would remember it for the years to come. Employee Stock Ownership Plan (ESOP) allows the workers to invest in the company that they are working in. Such programs let an employee buy company stock at a lower price then what is offered in the market. ESOP can be opened up for employees who have served the company for 5 or more years on their work anniversary. This way it also acts as a very effective employee retention strategy which an employer can implement. It’s your employees who make you win at every step. Their development and career advancements directly impact the productivity of the organization in a positive way. And it’s never too late to learn anything new. Having said so what could better than supporting an employees’ quest for knowledge. 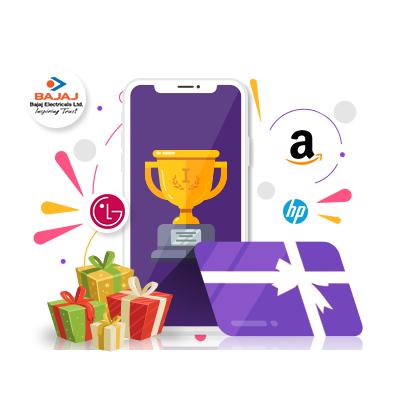 Particularly for employees who had spent more than 7 years or equal in the organization this could a very awesome gift to mark their work anniversary. As a token of appreciation for their years of service, you can support your employees with educational sabbaticals. This will let them explore new avenues and explore the best out in them and will also let them achieve their dreams. Travelling is therapeutic. Employees who have completed 10 or more years of service deserve more than just appreciation or rewards on their work anniversary. They might have taken several trips on their own expenses. So, sponsoring a trip can be both memorable and meaningful token of appreciation. Employees who stay loyal to the organization for the long term, always deserve the best. And nothing could get better than a company sponsored trip for this purpose. Your employees’ may work 8 to 10 hours a day for you, but at the end of the day, they are humans too. Like all, they may also give support to a charitable cause and actively participate to improve the society around them. Sponsoring or taking up a social cause in which they are engaged is a very subtle gift an employer can vest upon them. Especially, for any employee who has spent the majority of years serving the institution like 10,15, 20 years or more. Lending a hand to their philanthropic efforts not only makes up for a nice anniversary gift but it also makes for a strong CSR initiative. Employees contributing with their years of service at work deserve all the applause. It is their hard work as well as their loyalty that makes companies thrive. Similarly, you can express your gratitude towards them by acknowledging their accomplishments. Celebrating employee work anniversaries is one of those few ways where you can try out on anything that would make them happy. You can start off by trying any of the ways listed above but remember real appreciation always comes from within.